Explore the fascinating ancient cultures and dramatic desert landscapes of Jordan. From the ancient lost city of Petra to powerful biblical sites to ruined Roman cities, there are thousands of years of history to explore here. As well as having fascinating links to the past, Jordan also has a buzzing modern capital city of Amman – rich with diversity and culture. Whether you dream of riding a camel across the red desert sands of Wadi Rum, bird watching in the protected Dana Nature Reserve or sitting down for a traditional meal with a Bedouin Tribe – Jordan will excite your senses and give you an amazing journey. 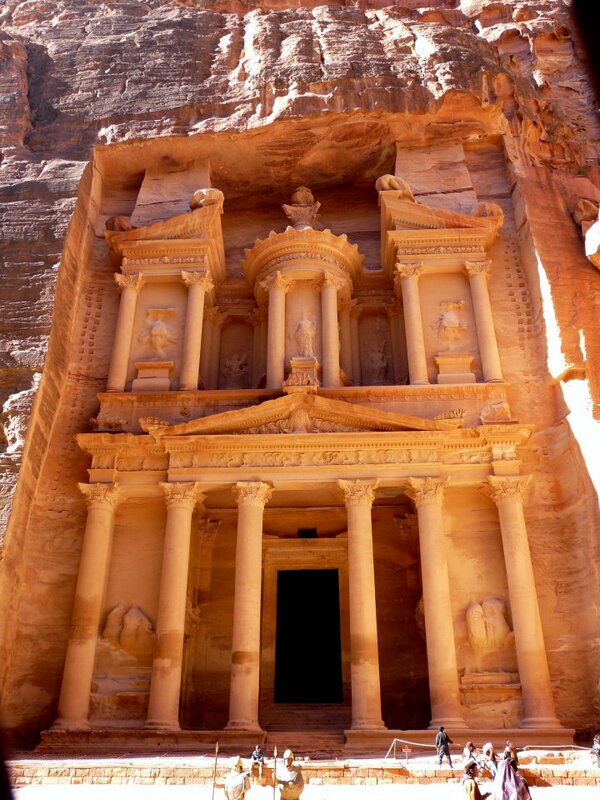 Planning a trip to Jordan can be a challenge, as there is so much to see in this destination. For expert guidance and advice, please feel free to contact us at any time here at Spiced Destinations. Size (land area): 89,342 sq km, slightly smaller than Indiana. Elevation: The lowest point is 408 meters (1,300 feet) below sea level (Dead Sea); the highest point is Jabal Umm ad Dami at 1,854 meters (6,083 feet). Religion: Muslim (92%), Christian (6%), Other (2%). Jordan is located in the heart of the Middle East. It’s bordered by the West Bank and Israel from the west, Syria from the north, Iraq from the northwest, Saudi Arabia from the southeast and Egypt from the southwest. All visitors to Jordan require a visa, no matter what country they are arriving from. This can be obtained at Amman’s Queen Alia International Airport and most land and sea borders (except Allenby Bridge) for most nationalities. Group visas can also be arranged free of charge for groups of 5 people or more arriving together and staying in Jordan for a minimum of two nights, but you must provide a visa list with full passport details before your group arrives. Jordan is three hours ahead of GMT (the country does not change its time). In the summer, Jordan is hot and dry during the day and cool in the evening. The Jordan Valley, which is below sea level, enjoys warm winters and sweltering hot summers. Most of the rainfalls occur between November and April, while colder weather conditions are experienced in December/January. When traveling in Jordan, it’s important to find a balance between clothing that is cool and comfortable, yet modest. Keep in mind that Jordan is a Muslim country and both women and men should wear more conservative clothing in downtown Amman and in rural areas. Lightweight cottons and linens are perfect for between May and September, while rainwear is needed from November to April. Warmer clothes are required when traveling in winter and during cool summer evenings. • It is inappropriate to reveal even the slightest amount of stomach or hips. This means that short tops, short skirts / shorts, or tight clothes should be avoided completely. • Although the dress code is more relaxed in hotels and night clubs, you will get more respect if you dress modestly. • Long-sleeved tops and long trousers will protect you from the harsh sun and mosquitoes at night. • If you're going to visit any religious sites, use your shawl to cover your shoulders, stomach and bare legs. A departure tax of JD 10 per person (about US$ 15.00) is paid at all borders when departing Jordan. It’s currently included with your flight ticket. The official language of Jordan is Arabic. English is widely spoken, especially in the cities, and many Jordanians have traveled or been educated abroad. French, German, Italian and Spanish are also spoken, but it’s far less common. The local currency is the Jordanian Dinar, or “JD”, which is divided into 1000 fils. Visa, American Express and MasterCard are widely accepted in Jordan, however, Access and Diners Club have more limited use. Check with your credit card company for more details. Tipping is not mandatory but it’s always appreciated. For hotels and restaurants, 10% may be added to the bill, but a small tip for the waiters is appropriate. For hotel bellmen and porters, one-half or 1 JOD, or $1US, is customary. In taxis, pay the nearest round figure to the price on the meter. For private drivers, consider tipping between US$ 15-20 per day. 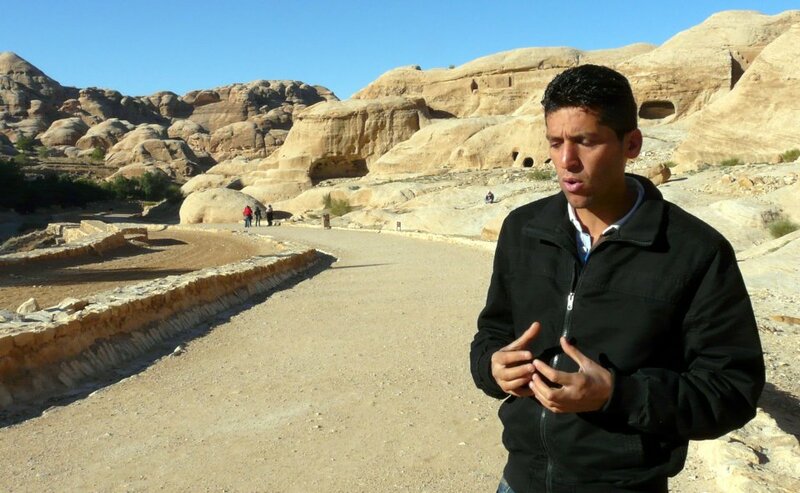 A typical tip for local guides at historic sites is around US$10 for two hours. But of course, only tip what you feel comfortable with. Always ask permission first before taking photos of local residents. Your guide can assist you with this. Never take photographs of military installations or airports. It is also advisable to carry your camera in a dust-proof bag, considering the environment. The electrical system in Jordan is based on 220 AC volts, 50 cycles, and requires rounded two-prong wall plugs. Visitors from the US will need a transformer, which most hotels can provide. Travelers do not need any vaccinations before visiting Jordan. However, it’s advised that you only drink bottled water. It’s fine to shower or brush your teeth with tap water. Jordan offers an array of spectacular shopping. 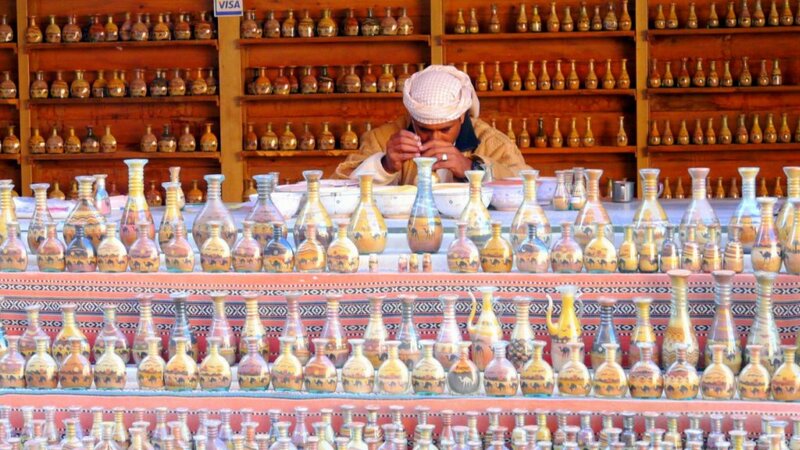 Browse local stores and discover truly unique souvenirs, such as hand-blown glassware, inlaid boxes, silver, gold, jewelry, brass, copper, carpets, antiques, leather wear, spices, perfumes, alabaster, embroidered covers, wall hangings and furniture. Be careful when purchasing “genuine antiques,” as you may be buying a forgery. And keep in mind that it’s prohibited to export any ancient artifacts. One of the most important decisions you will make when planning a trip to Jordan is deciding when to travel. So it’s important to be aware of the weather and any upcoming events that might have an impact on your trip. The climate in Jordan is typical to the Middle East, with sweltering hot summers and temperatures higher than 40 degrees Celsius. Many people find the heat oppressive, which makes it difficult to travel at this time of the year. However, if you can stand the heat, visiting in the summer will mean that you have famous sights, such as Petra, nearly all to yourself. If you do travel here during the hottest months, make sure that you follow the routine of the locals and go inside between the hours of noon until 3 p.m. to take a well-deserved nap in the afternoon. Many travelers agree that spring and autumn are the best times of the year to visit Jordan. This is when the days are warm and the nights are refreshingly cool. Temperatures hover in the high twenties and beautiful wildflowers carpet the desert. The humidity of this time of year is pleasant and the sunlight is ideal for enjoying the beauty of the desert landscape. However, even in the warmer months, the temperature can dip down at night, so make sure that you bring a shawl or a sweater with you. Winter is a great option! You could also consider visiting during winter, but be aware that nights get very cold in the desert regions and sometimes Petra experiences snow. Winter is also when you will find the least amount of tourist at the popular sites! 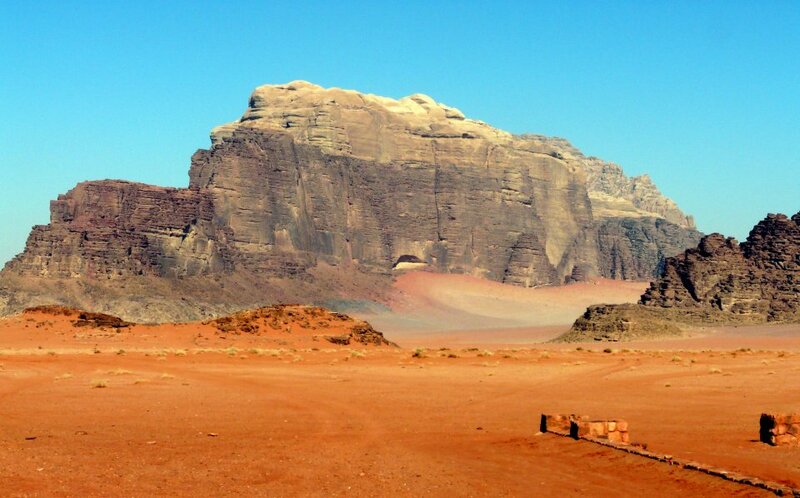 The climate in Jordan is semi-dry in the summer, with an average temperature in the mid-30s. It is relatively cool in the winter with temperatures averaging around 13 degrees Celsius. The weather is humid during the months from November to March and it is semi-dry for the rest of the year. The climate is considered “Mediterranean Style” because the summers are hot and dry; and the winters are cool and rainy. In the Jordan Valley, the weather is very hot during the summer because it is below sea level. Another important factor to consider when deciding what time of the year to visit Jordan is what events and festivals are on the calendar. For example, in January there is Muharram, which is the beginning of the Muslim New Year and the cause for many major celebrations. In March, Mawoulid An-Nabaw is celebrated – the birthday of the Prophet Mohammed. In April, the locals will celebrate Independence Day, which commemorates the Treaty of 1946. 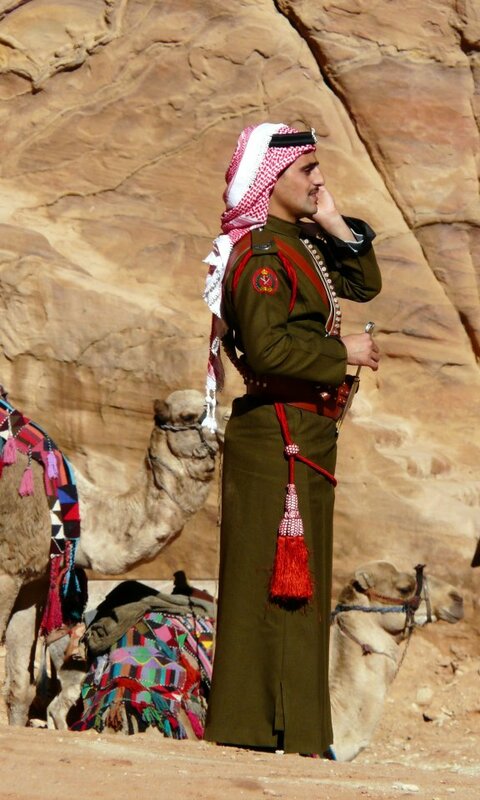 Army Day is celebrated in June, which is a national holiday that marks the Jordanian military. Of course, the most important month in the Muslim calendar is Ramadan – celebrated in August/September, which is devoted to fasting and is observed by Muslims all over the world. Eid Al-Isra wa Al-Miraj is the feast day at the end of the month, when the fast is broken and families get together for a celebratory meal. Another important day is Eid Al-Adha – which is known as the feast of sacrifice and celebrates Abraham’s offering of his son as a sacrifice to his god. Keep these festivals in mind, so that you will know what events are happening during the time of year when you book your visit to Jordan. Have a question about when to travel to this amazing country? Contact us now and we’ll give you some advice about your travel plans. This is one of the greatest sights in Jordan. Petra is a vast city that was carved entirely out the sheer rock face by the Nabataean people, who settled here more than 2000 years ago and turned the area into an important trade junction. They built the city around 600 BC, so that they could lay the foundations for their commercial empire, and the amazing feat of engineering still stands to this day. Walking into Petra is a truly humbling experience. Feel a sense of awe as you walk through the narrow gorge between soaring cliffs to face a 43-meter (140 feet) high façade carved from the sheer rock face. Marvel at the sophisticated engineering accomplished so many centuries ago. Discover hundreds of elaborately carved tombs, an enormous theatre which could seat 3,000 people and the impressive Ad-Dier Monastery. 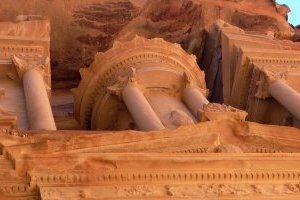 Visit the Petra Nabataean Museum and the Petra Archaeological Museum, which display artefacts found in excavations and offer insight into Petra’s past. A UNESCO World Heritage Site, Wadi Rum is an exquisite natural wonder – with monolithic boulders creating a stunning landscape that hides 4,000-year-old rock drawings, secret water holes and many other treasures. In this spectacularly scenic desert valley, the only permanent inhabitants are the several thousand Bedouin nomads and villagers who live in goat-hair tents. Visit the Bedouin Nomads and spend a night with them in their tents, listening to traditional Arabic music around the campfire while gazing up at the stars. Many of the camps will provide authentic Bedouin Meals, including goat or chicken cooked under the desert sand – which is called “zarb.” Dine with the tribe – learning first-hand about their unique culture. Also, make sure that you see the legendary Seven Pillars of Wisdom and the Burdah Rock Bridge. The Dead Sea is one of the saltiest bodies of water in the world and its name comes from the fact that the water is far too salty for any marine life to survive in. Several rivers, including the River Jordan, reach the Dead Sea and then become landlocked with nowhere to go. As the water evaporates, they leave behind rich salt and mineral deposits which are important to local agriculture, industry and medicine. The region has become a major hub of wellness tourism, with plenty of popular spas and luxurious resorts. Float effortlessly in the water, ten times saltier than the sea, and enjoy the health benefits of the magnesium, bromine and potassium. Follow in the footsteps of King Herod the Great and Queen Cleopatra who once bathed in these waters and treated their skin to the rich, dark mud. This fascinating ancient city has been occupied for the last 6,500 years and lies on a beautiful plain surrounded by a hilly wooded area. It was once one of the ten great Roman cities of the Decapolis League, and now it’s thought to be one of the best reserved Roman provincial towns in the world. It was hidden under sand for centuries and over the past 70 years it has been excavated and restored. Stroll through the lovely paved streets, hilltop temples, spacious public squares and beautifully designed baths, fountains and city walls of this lovely ancient town. Madaba is known as the “City of Mosaics” because of the spectacular Byzantine and Umayyad mosaics here. 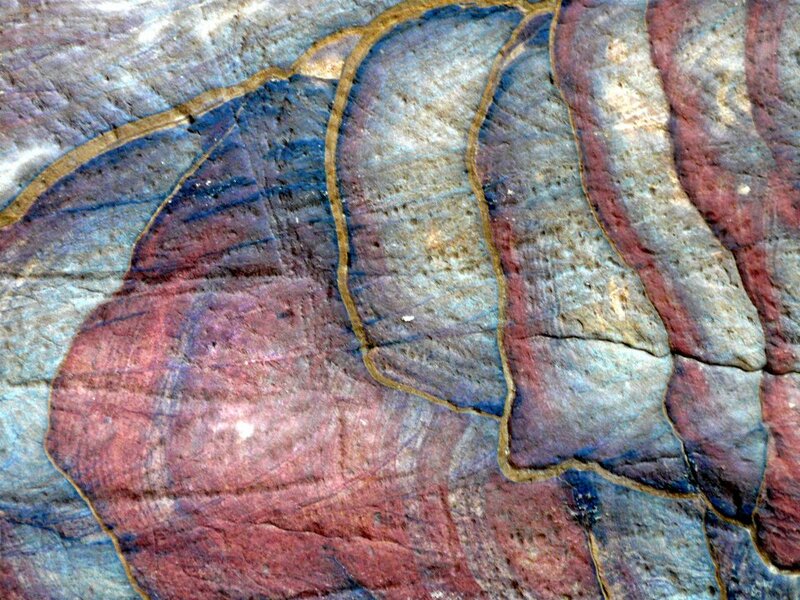 These incredible works of art are made with millions of pieces of colourful local stone and they depict the local hills and valleys, villages and towns. The most impressive is the Madaba Mosaic Map which covers the floor of the Greek Orthodox Church of St. George. There are other breath-taking mosaics to be found in the Archaeological Museum and the Church of the Virgin and the Apostles. Mount Nebo is an elevated ridge in Jordan, which is mentioned in the Bible. It was the place where Moses got a view of the Promised Land – which he would never enter. The view from the summit provides a truly impressive panorama and on a clear day you can see all the way to Jericho and Jerusalem. 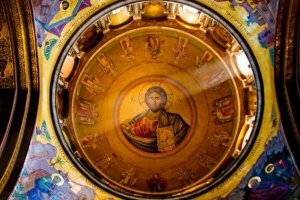 There is a small Byzantine church that was built there by early Christians, which has since been expanded into a vast complex. There is a viewing platform in front of the church where you can take in the mesmerizing view. Karak is a historic city which was once home to a notable Crusader fort – the remains of which can be seen today. It is around 900 meters (2950 feet) above sea level and the town rests on a triangular plateau, with the castle on the narrow southern tip. Karak has been a fortress since biblical times and these days it is home to around 170,000 people. Walk through the city and marvel at some of the exquisite restored 19th century Ottoman buildings. Karak also offers a number of excellent restaurants and welcoming places to stay. 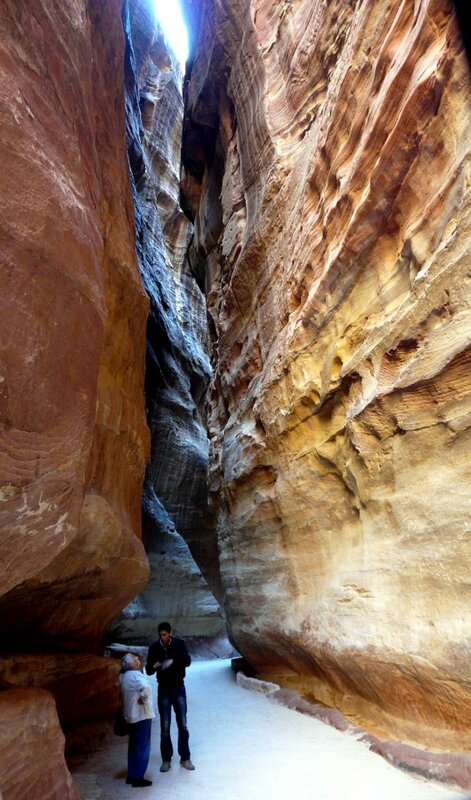 Experience the natural beautiful and biodiversity of Jordan at the Dana Nature Reserve. This is the largest nature reserve in the country, with over 300 square kilometres covered by four different bio-geographical zones. It is one of the most biologically rich areas of Jordan and has also been continuously inhabited for centuries – so it is home to ancient copper mines, Neolithic villages, Byzantine Churches and Roman aqueducts. Nature lovers will be enchanted by the diverse landscapes and the abundance of plant, animal and bird life. Keep an eye out for the endangered Nubian Ibex, as well as the Caracal, Lesser Kestrel, Syrian Serin and other protected species. After a day of hiking and exploring, take a rest in the 15th century stone village of Dana – located on a precipice overlooking the valley with excellent views. If any of these Jordan destinations spark your imagination, feel free to contact us at any time for a free consultation and we will help you plan an unforgettable adventure. 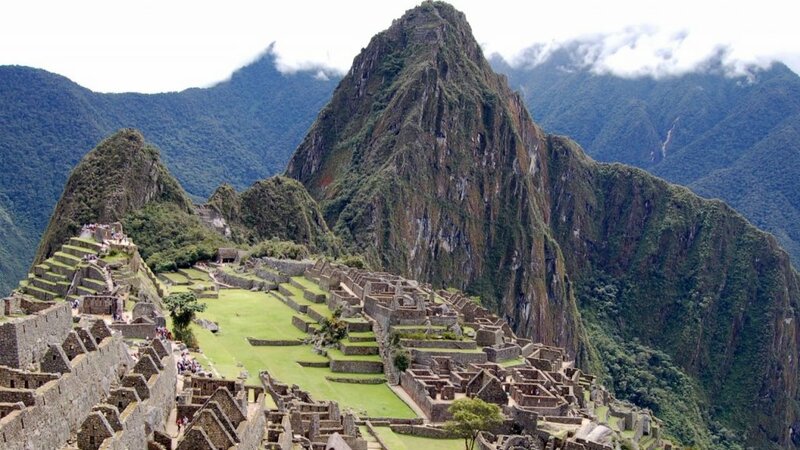 A dream voyage for history buffs and those fascinated by ancient cultures, this tour takes you on a journey through timeless landscapes and the remnants of powerful cultures gone by. Explore the King’s Highway, marvel at the impressive stone facades of the lost city of Petra and gaze at the sunset over the surreal desert landscape of Wadi Rum – all while enjoying the friendly smiles and hospitality of the local people. 11 Days / 10 Nights • Shared group departures on selected dates. Shadow the footsteps of Jesus in a tour of the Holy Land with extension to the Negev, the Red Sea and optional visit to Petra, Jordan. Featuring: Tel-Aviv, Galilee, Jerusalem, Bethlehem, Dead Sea and Eilat.